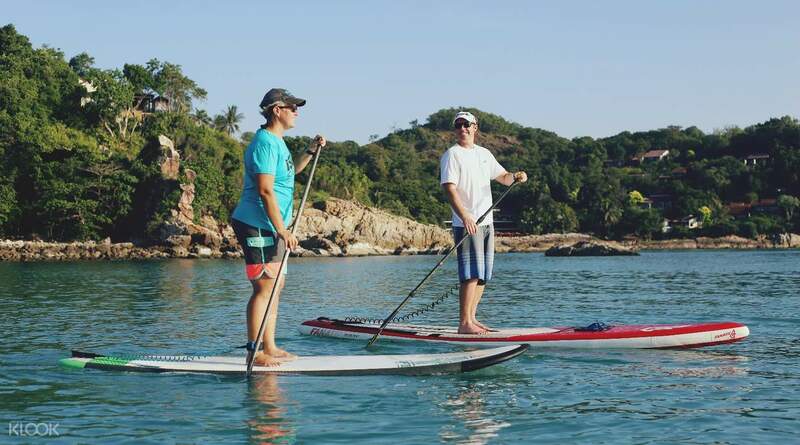 Enjoy a one-of-a-kind experience during your visit to Thailand as you go paddleboarding at Koh Samui! It was a very good experince. Tammy and Ian were very kind. Instruction was clearly delivered. It was easy to pick the paddling skill. There was great view during sunrise. Both of us enjoyed very much. 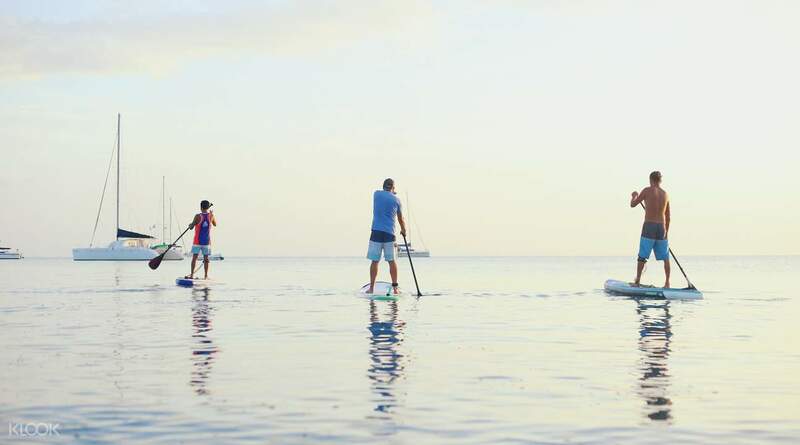 Discover the quieter side of Thailand while you spend an exciting two hours trying out stand up paddleboarding in the calm waters of Koh Samui. Choose between two different schedules: in the morning to witness the glorious sunrise, or in the afternoon to observe how the setting sun gives way to a night sky full of stars. Get picked up at your hotel (available for selected areas only,) then head to either Bangrak Beach or Choeng Mon Beach, depending on the wind's direction for the day. Once you arrive, take some time to set up by changing into your swimsuit, slathering on some sunscreen, and maybe putting on a hat and a pair of sunglasses, before the fun officially begins! 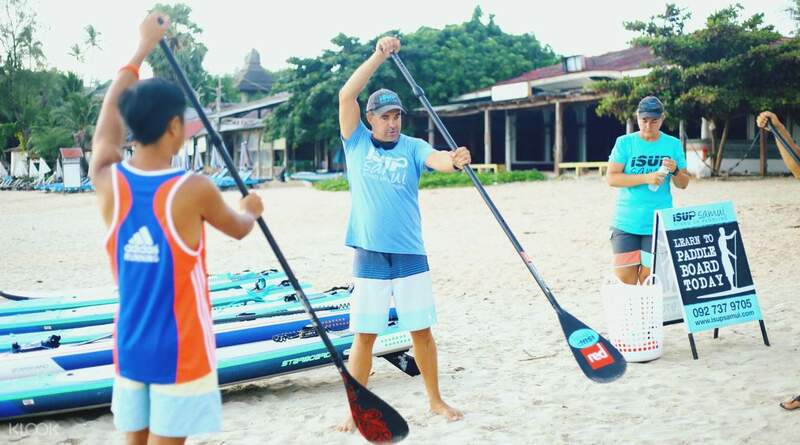 Learn about the basics of standing up on your paddleboard from your English-speaking guide, who is a qualified SUP instructor. Should you have any questions or clarifications, feel free to ask your guide, who will answer you in the best possible way. Head out into the water with your board and paddle, then try to stand up using the tips given to you earlier. 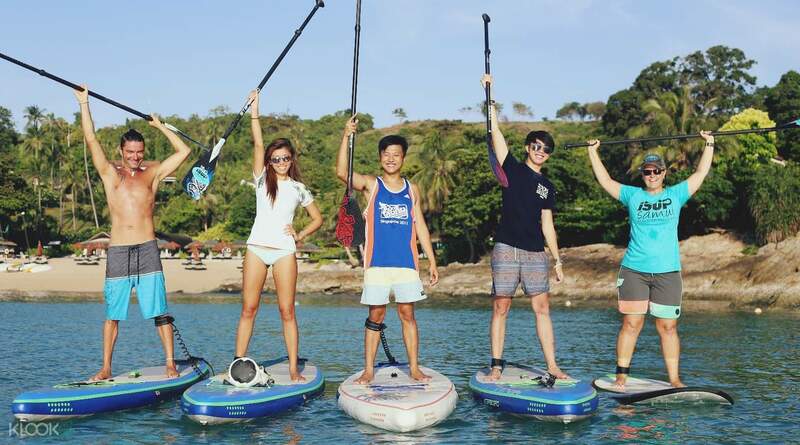 You will be accompanied by the SUP instructor at all times, so there's no need to worry! If you have any trouble, your guide will be watching out for you and the rest of the small group to ensure your safety while you're having fun. After a few minutes, you will be standing up on your board and marvel at the stunning sight of the sun rising or setting over the Gulf of Thailand. Feel free to bring your own waterproof camera so you can take photos, but the instructor will also be taking photos of you during the activity and will share digital copies with you, free of charge! It was a very good experince. Tammy and Ian were very kind. Instruction was clearly delivered. It was easy to pick the paddling skill. There was great view during sunrise. Both of us enjoyed very much. It was a very good experince. Tammy and Ian were very kind. Instruction was clearly delivered. It was easy to pick the paddling skill. There was great view during sunrise. Both of us enjoyed very much. We booked the sunset tour. It's really good activity in Samui. We are lucky to have, Ian, be our professional coach and also be our photographer. Don't miss beatiful Samui sunset. We booked the sunset tour. It's really good activity in Samui. We are lucky to have, Ian, be our professional coach and also be our photographer. Don't miss beatiful Samui sunset. It was a great experience in Koh Samui which enjoy the sunset with SUP. The coach is really nice and patience. Even it was windy and cloudy but still have lots of fun. I may try to do yoga on SUP next time. 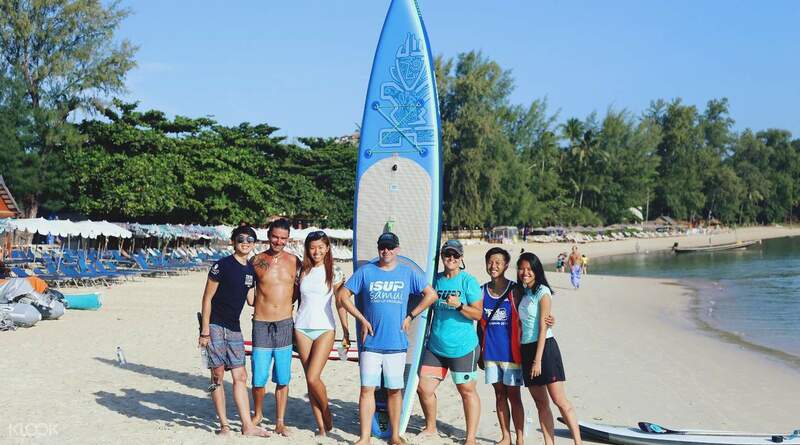 It was a great experience in Koh Samui which enjoy the sunset with SUP. The coach is really nice and patience. Even it was windy and cloudy but still have lots of fun. I may try to do yoga on SUP next time. It’s a great experience for us. Ian & Tammy are very funny and also professional. Enjoy the view on the sea, you should give it a try. Paddle lesson required : 1. Basic swimming skill. 2. English speaking and listening. It’s a great experience for us. Ian & Tammy are very funny and also professional. Enjoy the view on the sea, you should give it a try. Paddle lesson required : 1. Basic swimming skill. 2. English speaking and listening. It was fun and the coach Ian is super nice. It was fun and the coach Ian is super nice.